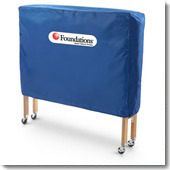 Foundations is the foremost supplier of cribs for child care centers, hotels, and baby’s room, of course. Foundations baby cribs are prized for their streamlined design, compact size, easy portability and unique safety features. Foundations cribs are designed for safety, comfort and convenience.